We have a culture of innovation where our employees can make a difference in the lives of those in the greatest of need. We are looking for like minded, dynamic individuals to come and join our team. Miami Rescue Mission | Broward Outreach Centers are leading providers of services to the homeless and needy of South Florida. Emergency Shelter and residential programs are available at the Miami, Hollywood, and Pompano Beach Centers. Miami Rescue Mission offers the following benefits:10 paid holidays, Medical, Dental, Vision, Hospital Indemnity, Disability and Life Insurance, paid time off, compassion leave, direct deposit, and company-matched retirement savings. If you meet the requirements of a position, please fill in the form below. No phone calls please. You may also complete an application at the Human Resources office located at 3553 NW 50th Street, Miami, FL 33142. Please note that only qualified candidates will be considered. Level 2 Background Screening is required. Miami Rescue Mission - Broward Outreach Centers maintains a drug-free workplace and is an Affirmative Action and Equal Opportunity Employer. The Truck Driver drives an assigned vehicle to pick up and deliver donations and/or purchased items such as furniture, clothes, etc. in Dade and Broward Counties. Must be able to lift and/or carry a minimum of 75 pounds. Maintains and keeps required supplies and safety equipment in truck. Conducts routine safety inspection of vehicles, and promptly reports all mechanical problems. Minimum Requirements: Must have at least 1 year of verifiable driving experience, and a Florida Driver’s Class D License. Must have a safe driving record with no more than four (4) points max. Must be familiar with local streets and highways in Dade and Broward Counties. Must be able to pass a Level II background screen and drug test. Compensation: $11.00 - $17.00 per hour based on experience. Position is non-exempt. The Cook at the Center for Men reports to the Food Services Supervisor, and will be responsible for preparing bulk meals for our residents. Must be knowledgeable in food preparation (large quantities), storage, handling, and serving techniques in an institutional type setting. Good communication and interpersonal skills required. Must be willing to work a flexible schedule as business needs dictate. Must be able to sign the Mission’s Statement of Faith, as this is a Christian ministry. Minimum Requirements: Must have a High School diploma or GED and knowledge of basic mathematical calculations to calculate measurements for recipes. Must have a valid driver’s license with 4 points maximum. Must be able to pass a Level II background screen and drug test. The Guest Services Assistant (GSA) monitors and oversees residential clients at the Center for Men. Duties include assisting with new resident orientation; providing general oversight of residents in the absence of management; ensuring that residents perform assigned chores; handling emergencies according to policies and procedures; providing operational support for events such as graduations and luncheons; and, coordinating transportation and/or laundry services for residents. Must be able to sign the Mission’s Statement of Faith, as this is a Christian ministry. Minimum Requirements: High school graduate (or GED) with a valid driver’s license required. Must have one (1) year work experience in social services or security-related work. Available shifts: 8:00am to 4:30pm and 3:30pm to 12:00am including weekends and holidays as needed. Must be able to pass a Level II background screen and drug test. The Housing Coordinator (HC) is a contract position that reports to the Emergency Services Supervisor. 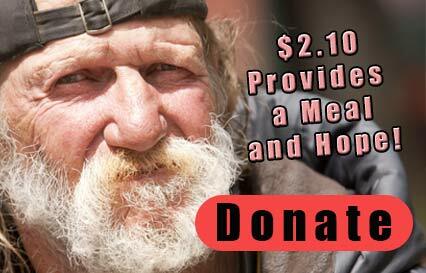 Provides housing and supportive services to clients who are eligible for assistance. Employment is subject to annual contract negotiations with Miami-Dade Homeless Trust. Minimum Requirements: Requires a High School diploma or GED, and at least 2 years of demonstrated experience with the homeless population. The HC must be knowledgeable of community housing resources available to residents. Must be proficient in the use of Microsoft Office software applications. Requires excellent verbal and written communication skills, with the ability to interact with residents and community partners in a professional and courteous manner. Also requires excellent organizational skills and the ability to prioritize tasks. Must have a valid driver’s license with no more than 4 points. Must be able to pass a Level II background screen and drug test. Compensation: $14.00 - $18.00 per hour based on experience. Position is non-exempt. The Case Manager at the Center for Men reports to the Case Management Supervisor, and will provide case management services, crisis intervention, support, and referral services to clients. Incumbent will provide timely outcome reports per program guidelines and requirements. Monitors progress of residents, and refers them to appropriate agencies for assistance as needed. Schedule may include some nights and weekends as business needs dictate. Must be able to sign the Mission’s Statement of Faith, as this is a faith-based ministry. Minimum Requirements: Requires a High School diploma or GED, and demonstrated experience of at least 1 year with the homeless population. A Bachelor’s degree and/or CAP training and 1-2 years of experience in social work is preferred. Must have the ability to recognize symptoms of common mental, physical, co-occurring, alcohol/substance abuse addictions to make proper assessment for care plans, referrals, and linkage with excellent follow-up skills. Must be knowledgeable of community programs and resources that are available to clients. Must be able to pass a Level II background screen and drug test. Compensation: $12.00 - $18.00 per hour based on experience. Position is non-exempt. Fill the form out completely and we will be in contact.